Here Ive got the pleasure to present you our new official Mascot! 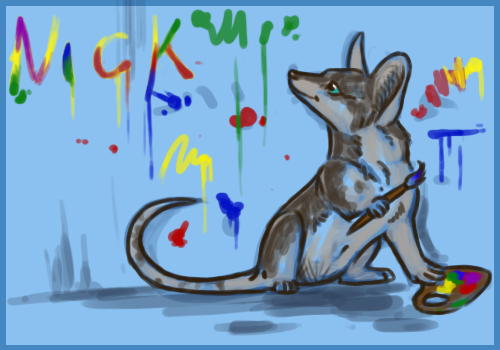 He is a little artist mouse that loves getting his paws in the painture. His name is Nick. To give Nick a nice wellcome to the site, this contest is going to focus him. I love him, he is so cute!! I will try to enter! !